Interstitials are pages that are served before or after the expected content page (e.g. before order confirmation), usually to display promotional content, an advert or to check the user’s suitability (e.g. confirm visitor’s age for restricted content). Interstitial ads are usually displayed by an ad server. 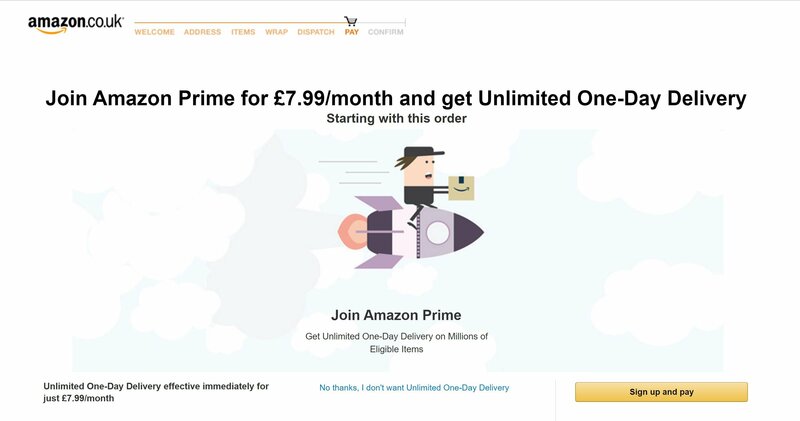 The above Amazon interstitial for Prime appears after a user clicks on “Proceed to checkout” and before the order confirmation page. On my laptop all the CTAs are below the fold which is not a great experience. However, the timing maybe just right as it tempts the user with the prospect of getting free next day delivery on the item at the very point where the user has decided to go to the checkout. The design is also clever as the most prominent and compelling CTA is the “Sign up and pay” button. Users are probably expecting an order confirmation CTA and so being located on the right of the two CTAs the automatic reaction is to click on it without even thinking. The alternative CTA – “No thanks, I don’t want unlimited one-day delivery” is framed in a negative way and is displayed as a link. Is this dark UX or just good CRO? 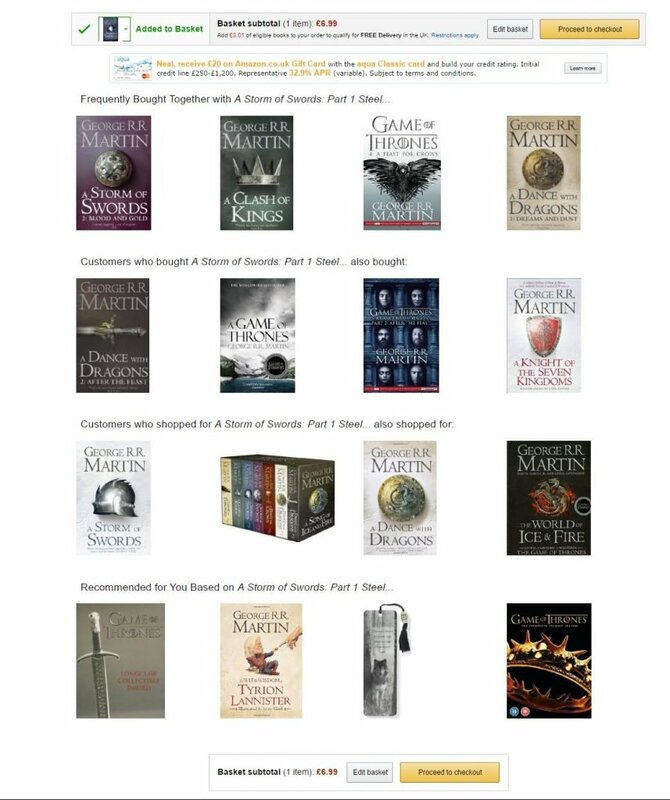 Amazon also uses an interstitial page between add to basket and proceed to checkout to up-sell related items. This use of dynamic content is highly effective at delivering relevant content to the user which should ultimately improve average order value. Interstitials are very context dependent in terms of their effectiveness. There is certainly a danger that they can disrupt a user’s flow or they may add value by informing the customer of other choices they would like to consider. To ensure they are relevant and add value to the customer journey it is essential to A/B test interstitials as otherwise they could be a very expensive additional step in the user experience.